This 14 year old never smiled because she was conscious of her teeth. Within 15 minutes she was a changed young woman! 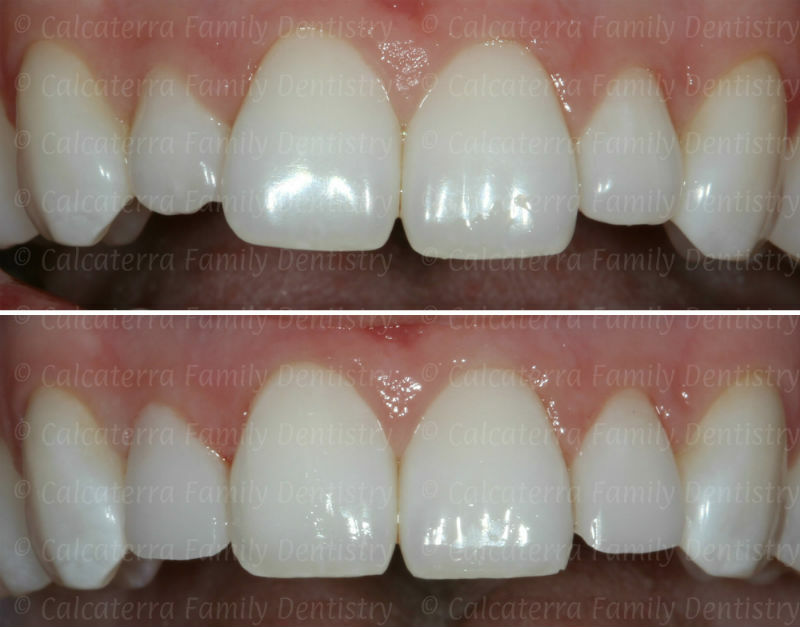 Photos and dentistry Dr. Nicholas Calcaterra. The patient above literally never smiled. Never! She was self conscious of the jagged edges. She left a changed young woman! This 20 something female patient was overly self conscious of her front teeth. We did a small amount of bonding on one tooth and re-shaped the rest. In 1 hour she left with a smile. Photos and dentistry Dr. Nicholas Calcaterra. This patient was overly conscious. She had multiple complaints. She thought that her two front teeth were uneven and slanted, that her laterals were too short and jaggedy, that her two front teeth were fat, and that she looked like a horse (her words – not ours). 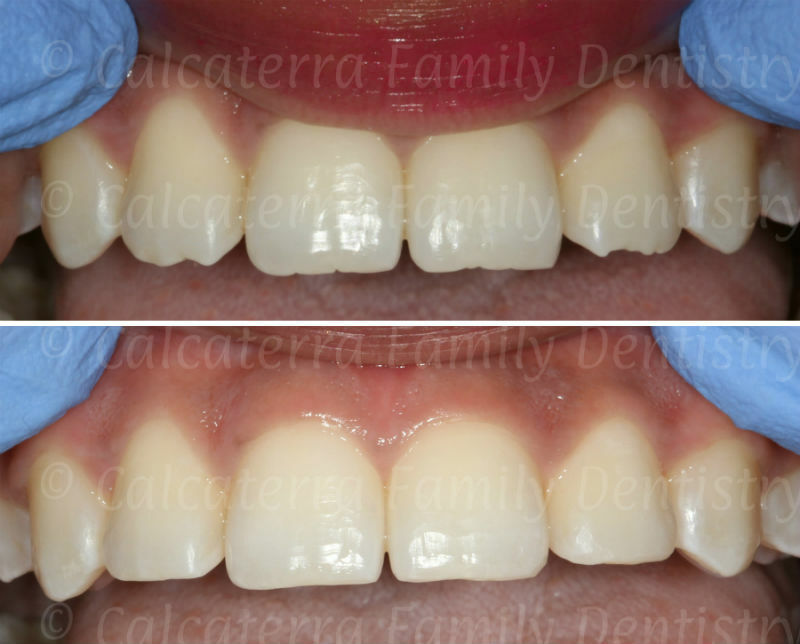 We were able to correct her concern by doing some bonding on one tooth (her right lateral incisor) and then select re-shaping of the front four. She left with a smile on her face! What can enamel re-shaping accomplish? Round off pointy canine teeth. Shorten teeth that appear too long relative to the other teeth. Correct small superficial defects or flaws. Create a contour or flow of the teeth that follows the contours of the upper or lower lips. What does enamel recontouring involve? Those that require only select and minimal shaping of the front teeth. These require no local anesthesia (meaning you don’t need the novocaine shot). We use fine polishers and disks to selectively remove small amounts of enamel. In general, more time is spent analyzing and planning than actually doing. The photo above is a great example. Those that require anesthesia and some type of white filling material. These cases are actually combinations of reshaping and bonding. See our page on bonding for more information. For cases with significant chipping, fracturing, or decay, then bonding and/or porcelain veneers are an absolute must.